The teaming up of these 2 people will not leave you indifferent. 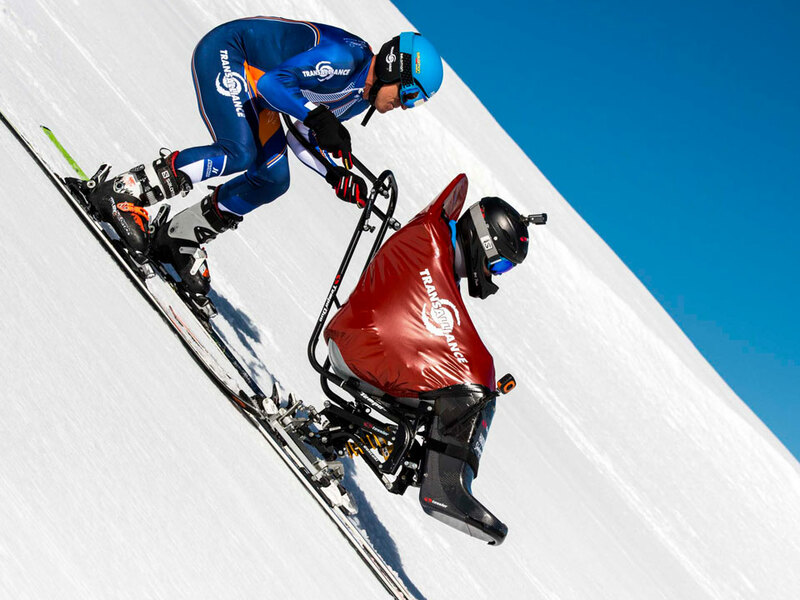 Their conference is titled “Going Beyond Your Limits” when they will speak about the world speed records they have achieved with a piloted dual ski (a wheelchair on skis). Their message is a true life lesson about going beyond limits, a life philosophy and a strong mind which can break the chains that hold us down. “OK, Juju. I’ll think about it…..” And the adventure started! As Juju would need to use the same playgrounds of my world records, I decided to integrate Juju into my projects.Thus, working together allowed us with my team to experience a human adventure that was enriching and exciting. What we lived during those challenges taught us many things. Our conference partnership has shaken our set beliefs, raised our mental level, but especially has proven that we have great capacities for change. Juju is not a guy like the others. He doesn’t accept the status quo and gives us a wonderful lesson in life, showing that nothing is impossible. In particular, disability can be a gateway for expressivity.